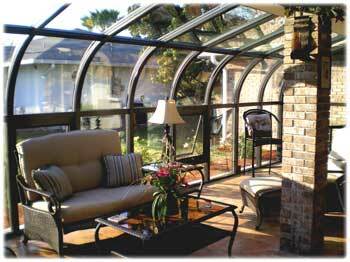 Make sure when shopping for a solarium or glass enclosure, to compare our technologically advanced features with others. Pre Engineered to meet all load requirements. Each enclosure sold is designed for its specific region. We use only thick heavy duty extruded Aluminum. Strong enough for any application. CRF Rating -We lead the industry. What is CRF? One of the most important ratings to look for with your glass enclosure, CRF Stands for Condensation Resistance Factor. Florian leads the industry with an unbeatable rating of 65 in our frame (backed by laboratory testing). This will help you reduce energy costs and stop condensation from destroying your room. The only sunroom to offer a tamperproof nylon clip system, which gives the framing unbeatable energy efficiency for maximum comfort. Allows even pressure between frame, gasket, & glass. No screws to strip. Most manufacturers start with reasonably well-insulated designs, and then put their units together with metal screws or bolts! Each of these hundreds of fasteners conduct heat and cold right through the so-called thermally broken frame. Weep system built into each enclosure with a pre slopped sill. 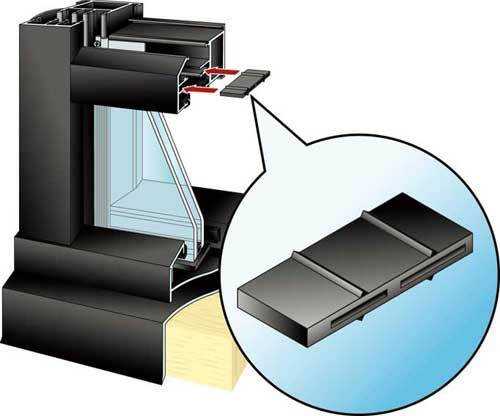 Optional Ridge Vent System to create airflow through out the enclosure. Heavy-duty 5-fin E.P.D.M rubber gasketing around each pane of glass. Some manufacturers still use thin window gasketing from years ago. Standard colors come in Bronze or White baked on enamel. Also available are anodized and custom colors. A wide variety of accessories ranging from cresting & finals, sliding doors, commercial doors, sliding windows, and awning windows. Glass is insulated with Super Spacer Structural foam systems the environmental choice for high-performance, durable, warm edge insulating. Less conductive spacer provides optimized energy savings. This spacer is also energy star rated. Florian is partnered with the world’s foremost leading glass company (PPG) to bring you our industry leading Heat Repellent glass series . We can reach a R-Value of 10 if necessary in your application. The Heat Repellent Series increased R-Value also adds up to a 58% savings on your heating & cooling costs. In addition we offer self cleaning Sunclean glass. The baked in coating utilizes two natural resources - the suns ultraviolet rays and water  to slowly decompose and loosen organic dirt and then rinse it away. All of our Low-E glass is Energy Star Rated, designed to reduce your energy costs. Installation: All units are pre-cut, pre-drilled and come with an easy to follow installation manual and blue prints with details. We also provide a technical help line to walk you thru any questions you may have, to ensure the installation is a smooth one.